essa semana vamos começar a analisar as cartas do Rising Rampage . Vamos ver as cartas do arquétipo Marincess! LETS GO! 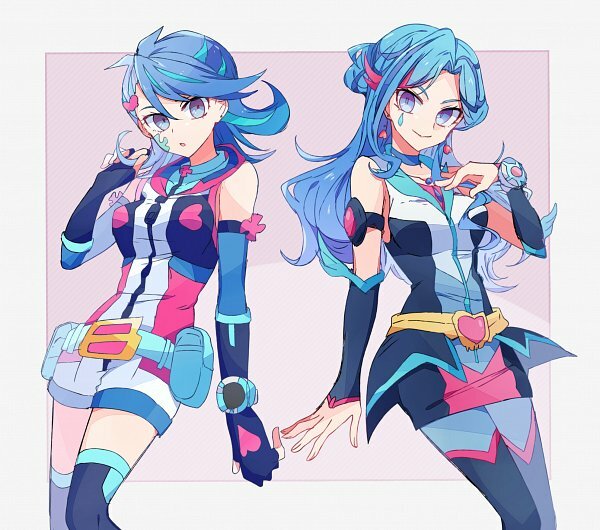 o arquétipo Marincess pertence ao personagem BLUE MAIDEN , um dos cyber duelistas do anime YugioH VRAINS. É composto de water cyberse type monstros fortemente baseado em link spam e algum suporte pra link mechanics. Por ser um water arquétipo comba bem com famílias aquáticas (frog, paleozoic etc) e por ser cyberse pode usar alguns suportes do deck (de)coder. You can only Special Summon 1 card with this card’s name with the way written in its (1) effect per turn. You can only use this card name’s (2) effect once per turn. 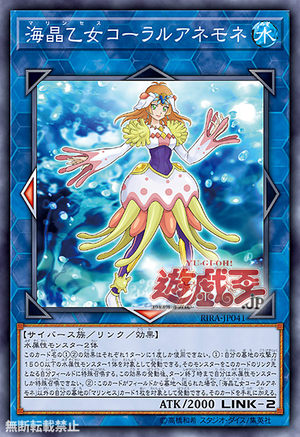 (1) You can Special Summon this card (from your hand) to your zone a “Marincess” monster you control points to. 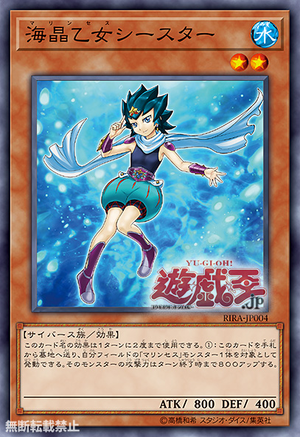 (2) During your Main Phase, except during the turn this card was sent to the GY: You can banish this card from your GY; Special Summon 1 WATER monster from your hand to a Monster Zone a “Marincess” monster you control points to. comentários: possui habilidade de auto-hand-summon mas numa área designada por um link arrow ativo. também tem GY efeito que possibilita um hand summon. You can only use this card name’s (1) and (2) effects once per turn each. (1) You can target 1 WATER monster with 1500 or less ATK in your GY; Special Summon it to your zone this card points to, also you cannot Special Summon monsters for the rest of this turn, except WATER monsters. (2) If this card is sent from the field to the GY: You can target 1 “Marincess” card in your GY, except “Marincess Coral Anemone”; add it to your hand. You can only use this card name’s (1) effect once per turn. (1) You can target 1 “Marincess” card in your GY, except “Marincess Marbled Rock”; add it to your hand. 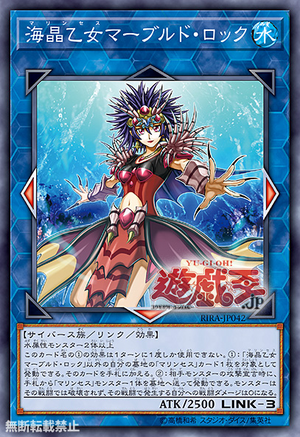 (2) When an opponent’s monster declares an attack: You can send 1 “Marincess” monster from your hand to the GY; monsters cannot be destroyed by that battle, also you take no battle damage from that battle. comentários: tem efeito de ativaçao tipo "hand trap" mas com condição de ativação. tem habilidade de negação de efeito imbricado com efeito de proteção. INTERESSANTE! novo arquétipo da blue angel... antes criassem um novo personagem! e pior de tudo, so apareceu durante um episodio antes de ser destruída pelo vilão BOMMER. Fala serio!